A printed barcode is a key component of an asset. This helps in easy and quicker identification of assets whenever needed. Consistent Operations – Streamline operations and ensure consistency and predictability by having standardized bar code labels for each asset, also preventing any duplicates during data entry. 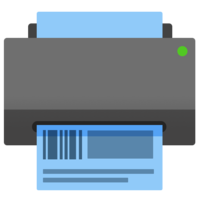 The Asset Label Designer app helps organizations print barcode labels for their assets. Asset managers can configure the layout of the label including components such as images and texts. 2. Under the Helpdesk Productivity tab, click on the “Apps” icon and go to “Get More Apps”. 3. Once you find the “Asset Label Designer” app, click on the Install button. 4. Enter the values for Label Dimensions, Labels per row and the Space Between Labels. 5. Configure the label by adding your organization’s logo and also by adding placeholders to get more textual information about the asset. 7. The app is successfully installed. 8. You can now find a new button named “Print labels” in the asset list page. Select the assets for which you want to print the label and click on “Print labels” to see a preview of the labels (make sure that you have popups enabled for your Freshservice domain for this to work). 9. Start printing the labels from the preview page.